Tickets for the 2017 Dot IE Net Visionary Awards are selling fast, and a capacity crowd is anticipated for the popular internet industry event at the RDS on 15 September. That’s according to Cathy McGovern of Inspiration Marketing, who is the current chair of the Irish Internet Association which hosts the awards, and our guest on today’s Blacknight Podcast. Click on the player below to play the podcast, or download it here: 13:15; 8MB; MP3. Cathy was speaking as the final shortlists for the Dot IE Net Visionary Awards have been published. There are 15 categories in total, in addition to the overall Net Visionary Award (which is kept secret – there’s no public shortlist). It’s awarded each year to an individual who has made an extraordinary contribution to the internet industry in Ireland. Past winners include Realex and Fire Founder Colm Lyon, Jerry Kennelly whose Stockbyte was acquired by Getty Images, and Blacknight CEO Michele Neylon. Blacknight is the sponsor of the Best Web Development Agency award at this year’s event. This year’s Dot IE Net Visionary Awards is the first since the IIA underwent a strategic review at the end of 2016. Having seen a downturn in member subscriptions since the recession, there was some discussion about the future of the organisation. The strategic review, Cathy says, revealed a high level of support for the organisation. The Dot IE Net Visionary Awards themselves turned out to be a key part of the IIA’s appeal. “I would say it is the key event in the industry”, says Cathy. Over 2000 people voted on the public categories this year (Best Mobile Service or Application, Best Use of Technology for a Social Good, and Best Social Media Activity). Over 360 people attended the Net Visionary Awards last year; “we know already that it will be a sell out this year”. The strategic review of the IIA has given the organisation a renewed sense of purpose, she explains. While the internet may have changed and evolved, there is an ongoing need for an organisation to advocate for business in the sector, and provide practical support to its members. “Our mission is to foster interaction between SMEs and larger businesses so that we can effectively give practical support, networking opportunities and address the real issues that are there. When you run an SME you are very exposed: you don’t have a HR department; you don’t have a legal department; you don’t have a compliance department. You don’t have somebody, for example, to help you with cyber-attacks, and I think all of those areas are key topics and the IIA is going to able to supply a helping hand, practical support”. She cites GDPR as an example of an area where the IIA can offer practical support to SMEs. The IIA has held at least one event on GDPR so far. It was well supported, and there will be at least two more. 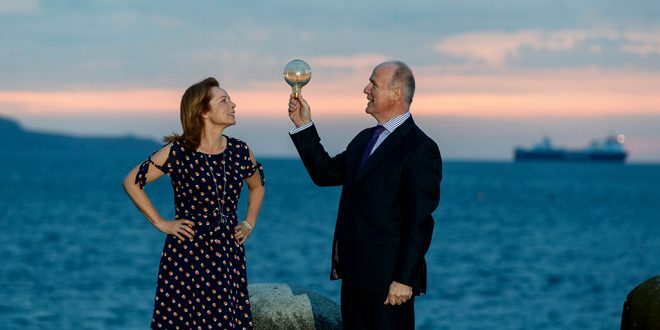 The shortlists for the 2017 Dot IE Net Visionary Awards have now been published, and tickets are on sale for the event at the RDS in Dublin on September 15. Is Simplifying IE Domain Rules a Bad Thing?